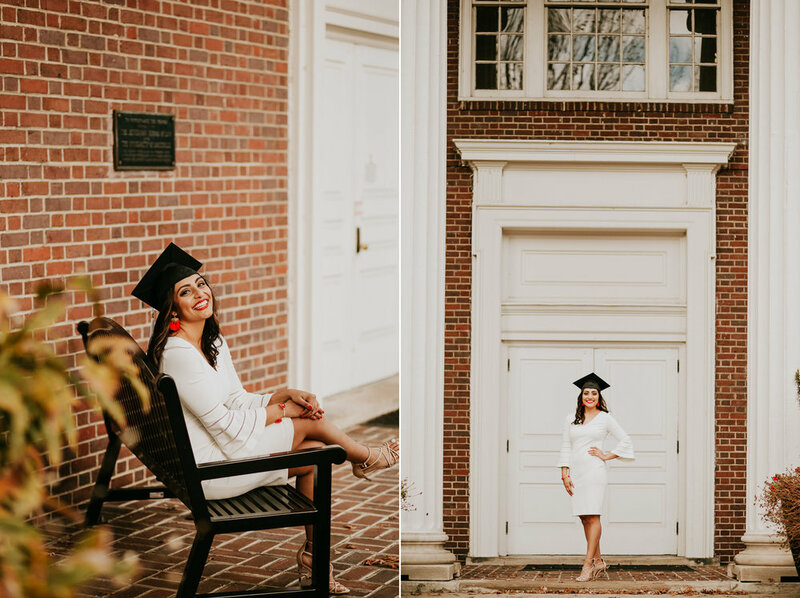 I am so excited to share these portraits I took of Lexina for her graduation from the University of Louisville! 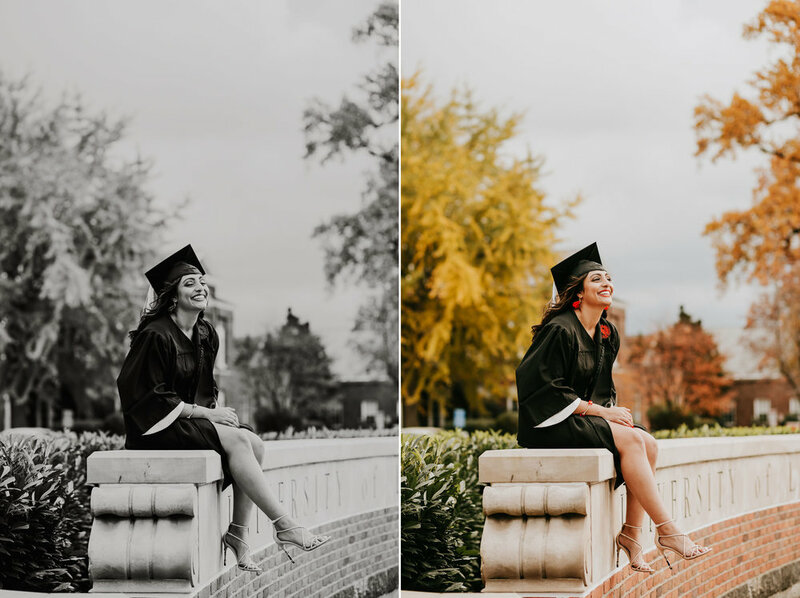 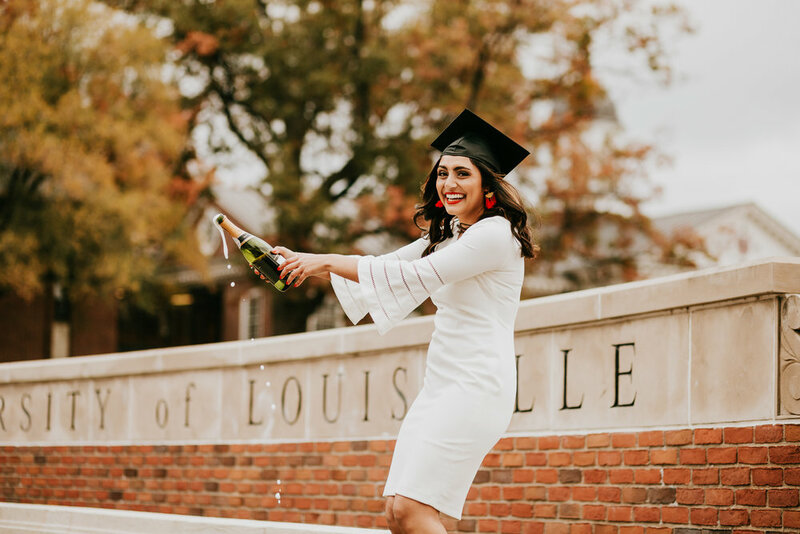 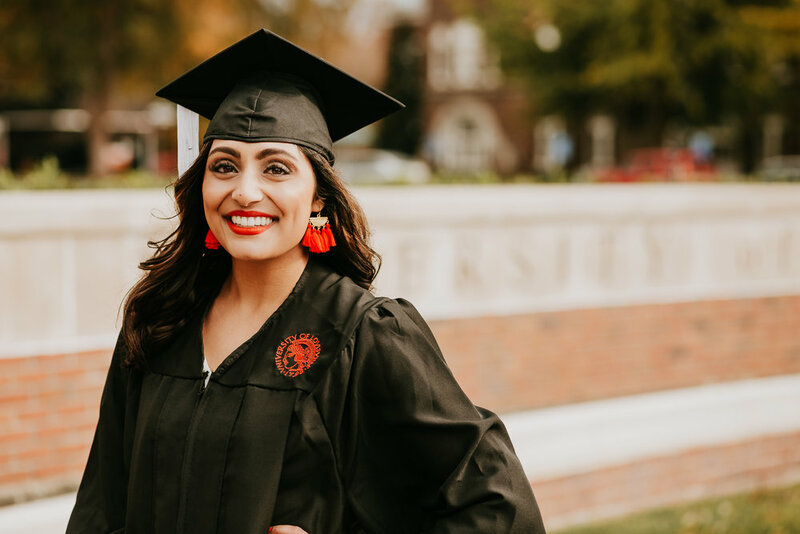 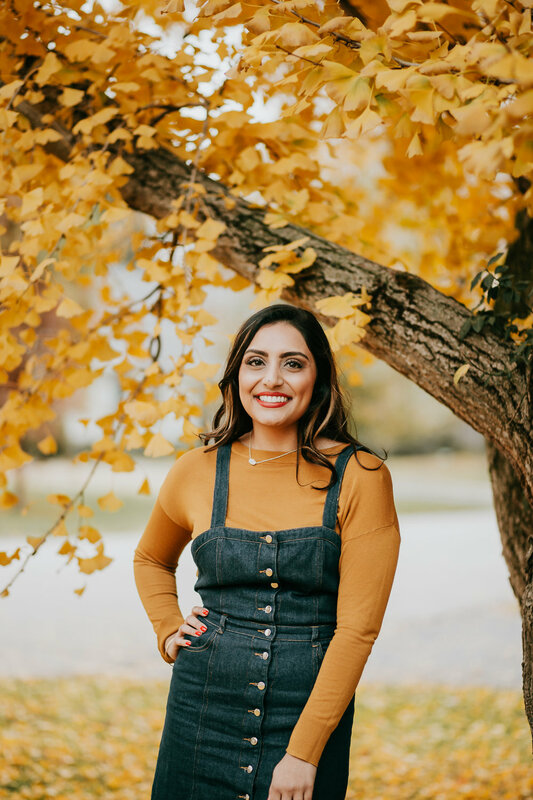 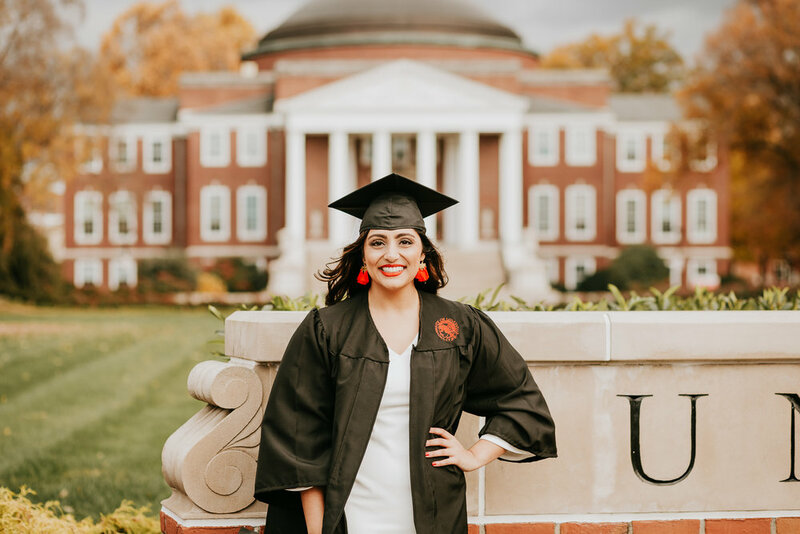 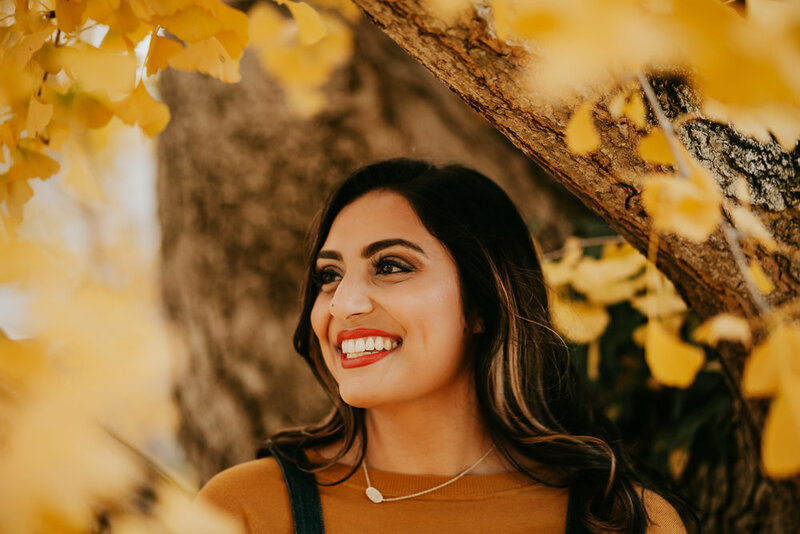 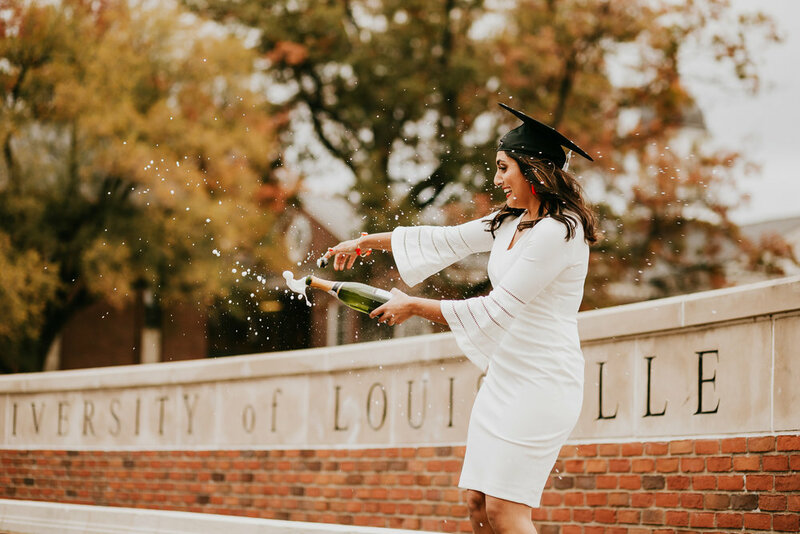 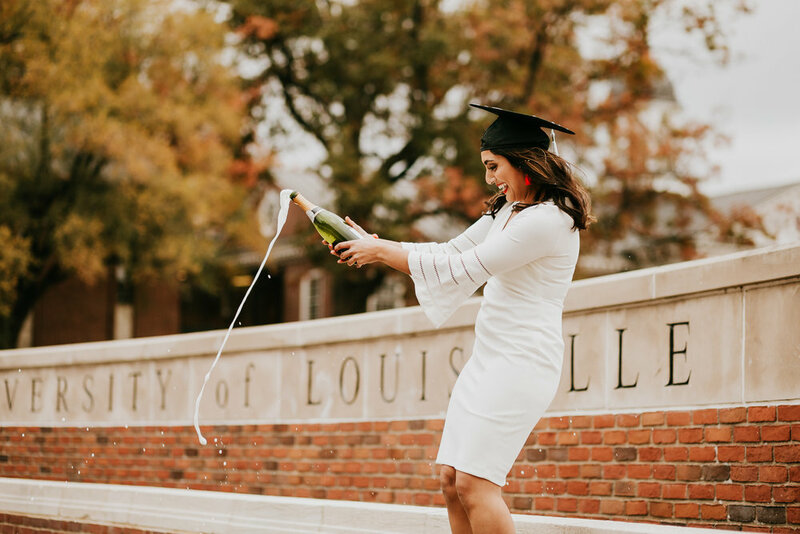 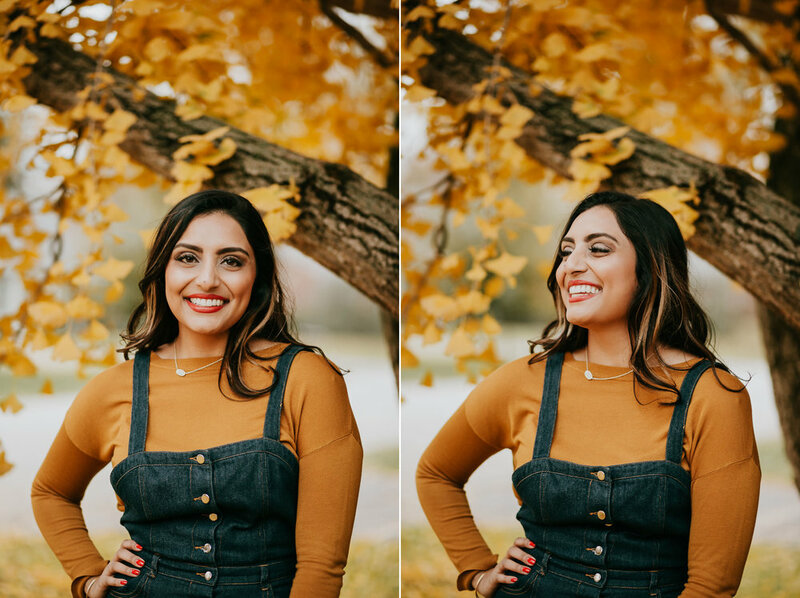 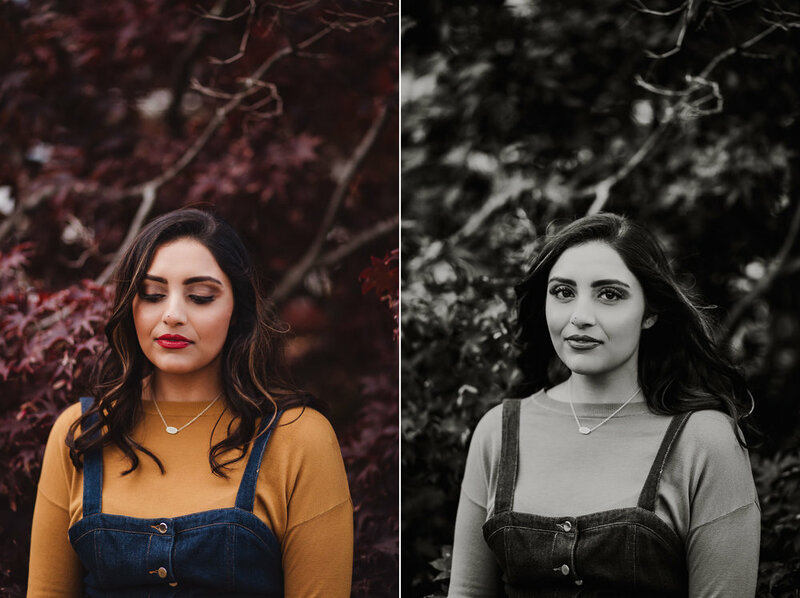 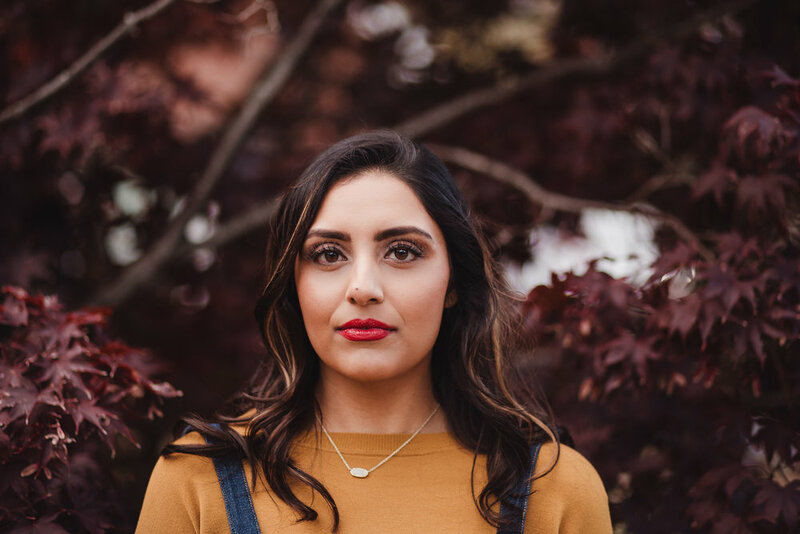 We had a blast at UofL campus taking some portraits in her cap and gown, popping champagne (to various degrees of success), followed by some fun photos in St. Matthews to take advantage of the autumn leaves! 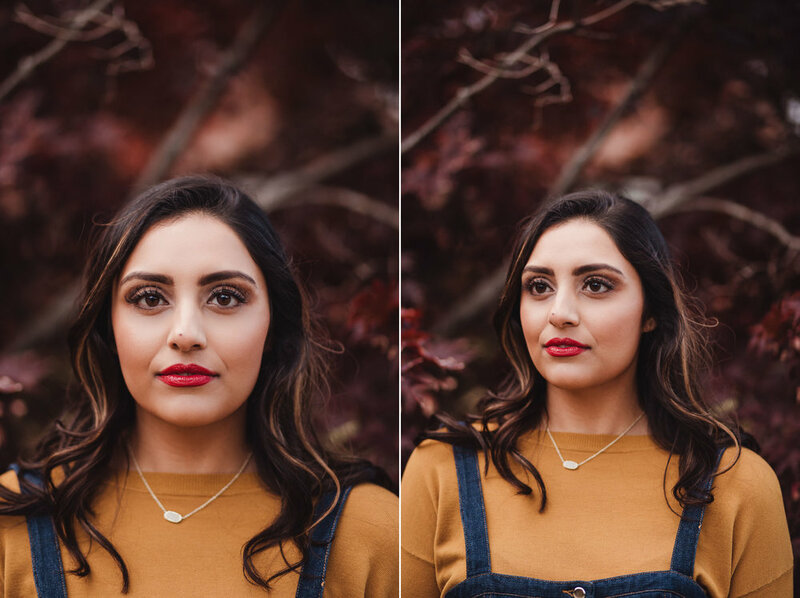 One of the best things about being a Louisville photographer is the variety the city offers in terms of locations to photograph! 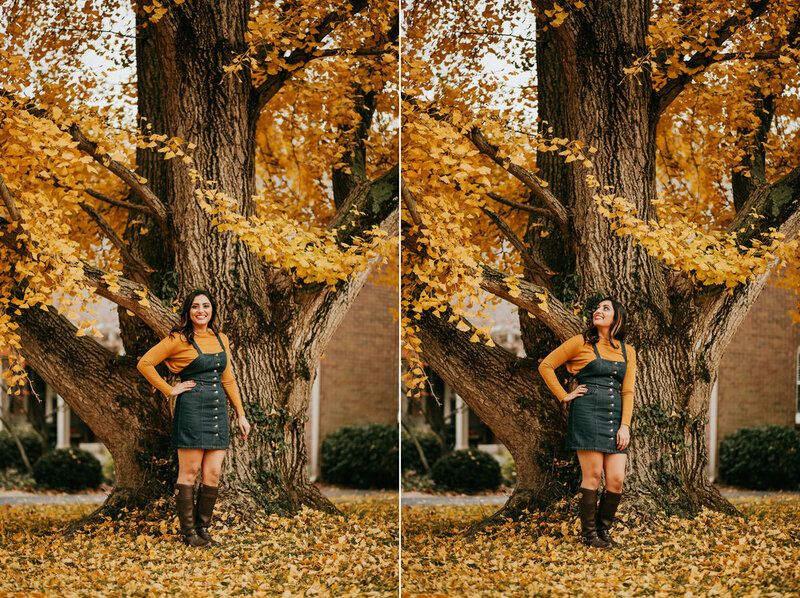 When we saw the gorgeous golden yellow ginkgo tree and vibrant violet Japanese maple trees we knew we had to use them in these portraits!